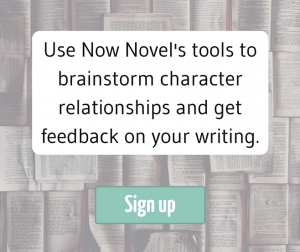 Writing great relationships between characters requires being observant about relationships in your own life and those of others. As an exercise, list your closest friends. Write next to each what they contribute to your life that few others do. Perhaps one friend brings an always-chipper, positive energy. Another is always down for ‘real talk’. The exercise above is a good way to remind yourself how distinctive people are. It reminds of the many different reasons why we gravitate to each other and form bonds. Everyone has flaws. What do we mean exactly by flaws? Character traits that impact themselves and/or others negatively. For example, a character who is overly critical of others could sabotage a close friendship without meaning to. The over-critical character’s flaw could interact with a character whose flaw is needing to be loved by everyone. Character flaws can be explained by backstory. A character who is slow to trust others romantically might have had a damaging previous romantic experience. 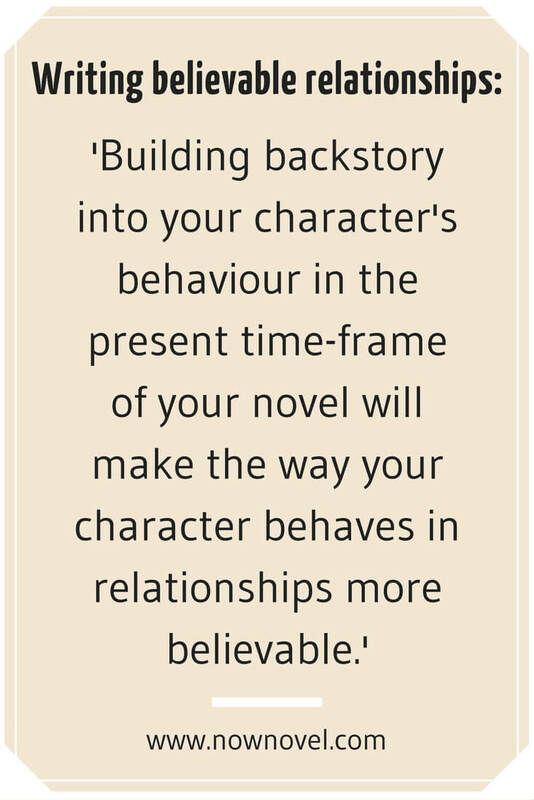 Building backstory into your character’s behaviour in the present time-frame of your novel will make the way your character behaves in relationships more believable. Even characters who are similar should have traits that rub each other up the wrong way when a situation arises that throws their differences into relief. For example, in a fantasy adventure novel, the main party might share an important quest. At a time of great stress, such as meeting a seemingly impassable obstacle, characters’ flaws might come out. The character with controlling tendencies might try persuade the party to take a course of action. Meanwhile, the character who sees everything from all angles (but is chronically indecisive) is certain the plan will fail. An argument ensues. The above example shows that if you give each character distinctive traits, including flaws, pivotal scenes will become more interesting. Sometimes, relationships do proceed on a single track. In JK Rowling’s Harry Potter, for example, it would make no narrative sense if the villain Lord Voldemort were to suddenly befriend Harry. It would be counter to the antagonist’s goals and would also destroy the narrative tension Rowling sustains across all the books in her series. While some relationships may be fairly fixed, primary, intimate relationships in a story need to ebb and change. Think of the ‘5 w’s’ – who, what, why, where and when – and how changes in any of these areas could produce change in your character relationships. For example, when a new character enters your main character’s life (a ‘who’ change), what impact will this have on their close friendships? 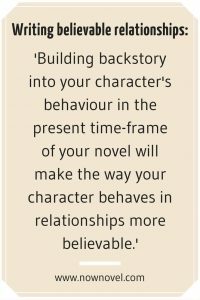 Similarly, if the ‘where’ changes and your story moves to a new setting, how might this impact your characters’ relationships? Say, for example, two romantic leads move to a new city. The pressure of being in a new place with a reduced support network could force them to rely on each other more and fault lines could show in their relationship as a result. Think about cause and effect this way and make sure that any momentous change reverberates through your characters’ primary relationships. The problem with characters instantly liking each other is that this skips the interesting elements of character introductions. You can create curiosity and narrative tension out of the fact each character is still somewhat unknown to the other. It’s entirely possible, of course, that two characters feel instant physical attraction. But building connection through multiple encounters makes this attraction, this story event, feel earned. In Jane Austen’s Pride and Prejudice, Austen takes time to build the connection between Elizabeth Bennett and Mr Darcy. This creates curiosity in the reader and satisfying narrative tension. Know your characters inside out. 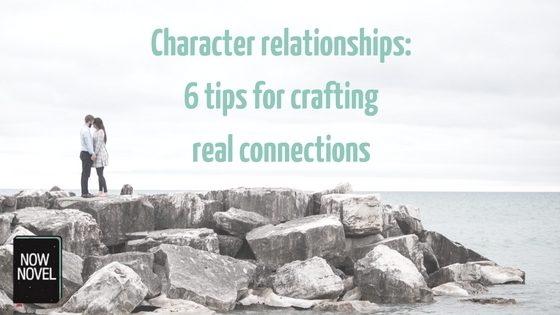 It’s easier to create believable relationships when you have a three-dimensional understanding of each of your characters. This is why it is helpful to sketch character outlines. Note down essential facts about each character, even if many won’t get mentioned in your story. Knowing more about each character than you’ll need in the final story will keep characters vivid in your mind’s eye. 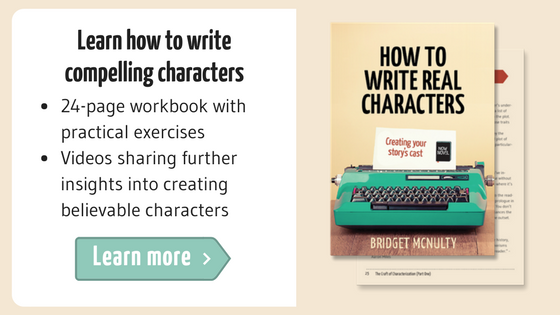 This will translate to the page, especially when you describe character relationships and are able to bring in your characters’ most crucial attributes and differences. There are plenty of examples of believable, engrossing, non-static relationships in literature. If a specific type of character relationship is central to your story (such as a life-altering friendship or romance), find books where these feature and make a summary of the course of the relationship. Take notes on characters’ first interactions and their last. Take notes too on any disagreements in the course of the book and why they arise. How do the characters’ personalities compliment each other? What types of differences create the biggest conflict? 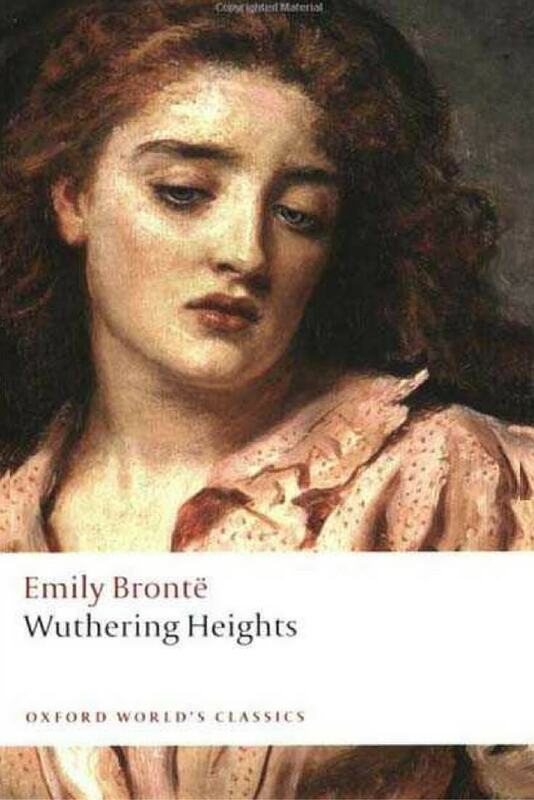 In Emily Brontë’s Victorian Gothic novel Wuthering Heights, for example, Brontë shows the complex conditions under which characters form and abandon relationships. The rough-mannered Heathcliff and Catherine Earnshaw grow close and fall in love after Heathcliff is found in the streets of Liverpool as a child and taken in by Catherine’s father. Even though the two share a passionate love, Catherine is compelled to marry Edgar Linton instead, a man of higher social status than Heathcliff. Books such as Brontë’s show how character relationships take place in (and are influenced) by societal and/or familial structures. Taking notes on book’s such as Brontë’s that focus on human relationships will help you write better relationships yourself. What’s your favourite fictional relationship of all time? Tell us in the comments.